In The Murders at Astaire Castle, Spencer’s police chief, David O’Callaghan, learns this lesson the hard way when he orders Mac Faraday to stay away from the south end of Spencer’s mountaintop — even though he owns the property. It doesn’t take long for Mac to find out what lies on the other side of the stone wall and locked gate, on which hangs a sign warning visitors to Keep Out! Topping the list of the ten most haunted places in America, Astaire Castle is associated with two suicides, three mysterious disappearances, and four murders since it was built almost a century ago — and Mac Faraday owns it! 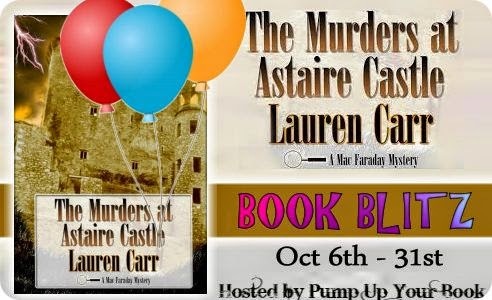 In this latest installment of Carr’s hit series, what starts out as a quick tour of a dusty old castle turns into another Mac Faraday adventure when Astaire Castle becomes the scene of even more murders. Mac is going to need to put all of his investigative talents to work to sort out this case that involves the strangest characters he has run into yet — including a wolf man. No, we’re not talking about Gnarly. What a gem to put on my housekeeping resume! To be hire by only one of the world’s most famous authors of horror books — even more famous than Robin Spencer — to clean an honest-to-goodness castle. So what if the Astaire Castle has a reputation of being haunted? I’ll be making a bundle for cleaning five days a week in the daylight. Besides, I don’t believe in no ghosts. At first, she dismissed her cleaning supplies moving from where she had left them as forgetfulness. Then there was the time she kept hearing someone whispering her name. She had looked around, but never saw anyone. Same with doors closing or opening or footsteps coming up behind her, and the old-time music and party noises in empty rooms when no one was there — she tried to tell herself that it was all her imagination. She had heard all about the Wolf Man who lived in the woods surrounding Astaire Castle. The woman with two teenagers who lived in the apartment next to hers was quick to tell her about him. Rafaela had dismissed it all as ghost stories made up by her neighbor’s kids to scare her — until she had seen him with her own two eyes. That day she ran out of the castle. She returned only after Genevieve, Damian Wagner’s daughter, had promised that her father finish his book and be moving out of the castle by the end of the year — at which time he would pay her a handsome bonus that would give her enough money to visit her family in Brazil for Christmas. Then there was the editor — Mr. Jansen. Damian’s daughter, Genevieve, was as charming as beautiful. She often asked Rafaela about her family in Brazil and about her life in Deep Creek Lake. For the new immigrant to America, Rafaela felt as if she was making a friend who would give her good references for more housekeeping jobs in the resort town of Spencer — more millionaire estates to clean — estates that weren’t haunted. There was a red pool in front of the kitchen door that opened out onto the back patio and deck that projected out over the rocks to provide a massive view of the valley down below. All of the drops and splatters and pools led to the common source — the fire pit outside. The two ATVs shot through the shrubbery that had overtaken the south side of Spencer Mountain’s top. The occasional sunray that managed to peak through the clouds above would catch on the gold trim of the black all-terrain vehicles. To the left side of the road, Police Chief David O’Callaghan scoured the landscape littered with bare trees for any sign of the old woman they were seeking. Behind him, Mac Faraday searched the right side of the road. 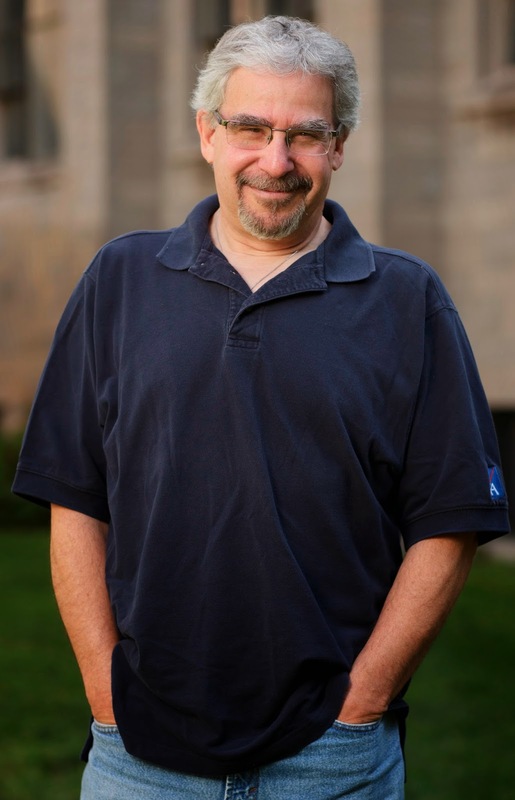 A retired homicide detective with more than twenty-five years of police work under his belt, Mac had looked for more than one missing persons. His experience, plus his availability, made him a regular volunteer to be called in by the Spencer police department when extra manpower was needed — whether it be a missing person or a major murder case. This search was for an elderly woman with Alzheimer’s who had wandered away from her family at the Spencer Inn. She had been missing for five hours. The sun was starting to set. Soon, the chilly day would turn into a freezing night. Snow was expected and that wasn’t a good thing in the mountains. David held up his hand in a fist to signal a stop and slowed down his vehicle. While waiting for Mac to halt behind him, the police chief removed his helmet and ran his fingers through his blond hair. “Any idea where you are now?” He shot Mac a wicked grin. “But the Spencer Inn owns the whole mountaintop,” Mac said with a question in his voice. “Nothing, Chief,” the deputy chief responded. “We’re going to head back toward the Inn,” David said. “But we haven’t searched to the end of this road.” Mac pointed further up the trail. “She’s not up there,” David said in a tone so sharp that it startled him. The police chief shifted his ATV into reverse and backed up. Even though David O’Callaghan was the chief of police, Mac Faraday was one of Spencer’s wealthiest residents. Descended from the town’s founders, he was unofficial royalty in the small town of Spencer located on the shore of Deep Creek Lake. Several years younger, David O’Callaghan had much less law enforcement experience than Mac. Being David’s older half-brother added another level of respect to make David tread softly when issuing orders to the retired homicide detective. With the same tall slender build, their familial relationship was evident to the few who were aware of it. The only notable difference was in Mac’s dark hair with a touch of gray showing at his temples. “She’s not there.” David’s hard expression ordered him to drop it. “We won’t know unless we look,” Mac said in a steady tone. They were halfway back to the command post set up at the Spencer Inn when the call came in from Deputy Police Chief Art Bogart: Mac Faraday’s German shepherd, Gnarly, and Archie Monday, Mac’s housemate and “lady love” as he liked to call her, had found the woman. Gnarly had followed her scent down the mountain trail. He had zig-zagged through the ski slope to the service shed that managed the electronic chair lift. The elderly woman had forced her way into the shed and fallen asleep in the dark corner. Gnarly was hero of the day, which was why Mac thought it suspicious when he found the German shepherd hiding in the backseat of his SUV. “We need to go,” Archie whispered in a hurried voice to Mac. “We need to go now.” There was fear in her deep emerald green eyes. Her pink cap was pulled down to cover her pixie blonde hair and ears. With her petite features, the cap made her resemble Tinker Bell in Peter Pan. “Why?” Mac received part of his answer when he saw the dog lift his head to peer out of the back window. Mac caught a glimpsed of what appeared to be a cigar in the dog’s mouth, before he laid his pointy ears back to rest flat on his head and ducked back down. Mac heard a crackling voice yell from the open back of the ambulance. “I’m telling you one of you robbed me. How dare you rob an old woman! You should all be ashamed of yourselves — all of you.” He turned around to peer through the window at where Gnarly was crouched. “Thieves! You’re all thieves!” They heard the impact of her purse hitting one of the EMTs. “What kind of people are you to steal beef jerky for an old woman?” the mother demanded to know. “Is she going to press charges?” Archie asked David. “We’ll replace the jerky,” the police chief said. “Oh, a cover up?” Mac replied. “Sounds like you’ve been down this road before,” Mac said. “How were you hard on him?” Archie wanted to know. “He threatened to shoot me,” Mac said. “Well, you must have done something to deserve it,” she said. Mentally, Mac Faraday would often have to pinch himself when entering the Spencer Inn. Before his inheritance from his birth mother, he would never have been able to afford to set foot in the elegant mountaintop resort. With its five-star rating, the Spencer Inn was the place to go for romance and luxury. There were a dozen other little out of the way places around Deep Creek Lake that couples could patronize to explore the intimacy of love. For those blessed with wealth, and who desired the best on fine food, drink, and romance, then the Spencer Inn was the place to go. Two years later, Mac was still getting used to receiving the royal treatment when he walked through the front doors. Doors were opened for him. Trying to anticipate the inn owner’s every need or desire, clerks would race to get his favorite cognac or predict what type of dinner he may be in the mood for. If Mac and Archie were dining at his table in the gourmet restaurant at sunset, they would ensure the blinds were set to perfection to block the sun from his eyes, while still allowing him a view of the mountains and the lake below. Mac Faraday was forty-seven years old when he had learned that the teenaged girl who had given him up for adoption had grown up to become Robin Spencer, an internationally famous murder mystery writer. She had come from a long line of blue bloods, who had founded the upscale resort town of Spencer, Maryland. For a middle-class kid from the suburbs who grew up to become an underpaid homicide detective, the whole experience was still surreal. Mac didn’t think he would ever get used to it. The hosts of both the lounge and the restaurant opened their cut-glass doors to hold for them open for Mac and Archie when they spied them crossing the lobby. Unsure of where they wanted to eat, Mac and Archie paused. They glanced down at their coats and gloves and dirty boats and jeans that they were still wearing from the search. In the luxurious resort, they appeared more out of place than usual. The host hurried in ahead of them to signal for a server to prepare the corner booth where Mac usually sat when visiting the lounge. By the time they crossed the bar area, the bartender was getting a bottle of Archie’s favorite white wine from Mac’s private collection — 2008 Domaine Leflaive Puligny-Montrachet Les Folatières. He also fetched two wine glasses. “What happened between you and David?” Archie asked once they were settled in the booth. “Nothing happened,” Mac insisted in a low voice. Mac turned to Archie for her choice. Dining with Archie Monday was an adventure. 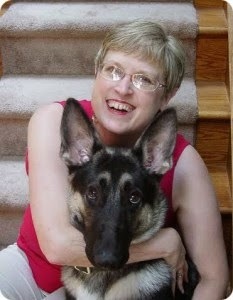 As Robin Spencer’s assistant, she had traveled all over the world. Fearless when it came to exotic food, she loved to test the culinary skills of the chief chef. The bartender went back to the kitchen to deliver her message. “Yeah, that’s right.” Mac confessed that he had forgotten about David’s latest girlfriend, a former US Marshal, was starting a new career with the Federal Investigative Agency. She was moving to Quantico, Virginia. After her training was completed, she would be transferred to her first assignment, which was definitely not western Maryland. Mac was only half listening. He was remembering the determination, with a hint of something else, etched on David’s face when he turned around and ordered that they were coming back. They were going no further. Fear. “Something scared him,” Mac said more to himself. “Mac, they didn’t tell me that you were here.” Jeff Ingle, the manager of the Spencer Inn, was hurrying across the lounge in their direction. “I am so glad they found that lady.” He trotted at a quick pace while trying to maintain the dignity befitting the manager of one of the top hotels and restaurants in country. “Gnarly found her,” Archie said. “Because there’s nothing out there,” Jeff said firmly. Mac narrowed his eyes at the manager. “What are you not telling me?” Beyond Jeff, he saw the man whom he knew would be truthful to him. Hector Langford, the Inn’s chief of security, was a straightforward Australian who had been working for the Spencer Inn for over twenty-five years. He would know what was on the south side of the mountain that could spook David O’Callaghan, the chief of police and Marine officer. After serving two tours overseas, David wasn’t easy to spook. Mac’s and Archie’s mouths dropped open. “Did you say ‘castle’?” Mac asked. Hector nodded his head. Jeff rubbed his face. “As in moat and alligators and drawbridge … castle?” Mac leaned across the table at him. “There’s a big difference between a castle and a cabin,” Archie said. “We were using it as a vacation rental,” Jeff interjected. “Maybe something happened to him after he left the castle,” Mac said. Jeff and Hector shook their heads in unison. “No one saw him leave,” Jeff said. “He disappeared in that castle?” Mac asked. “I think the ghosts got him,” Jeff said. Jeff uttered a hollow laugh. “Yeah, congratulations,” he said with heavy sarcasm. “It’s haunted?” Mac still laughed. 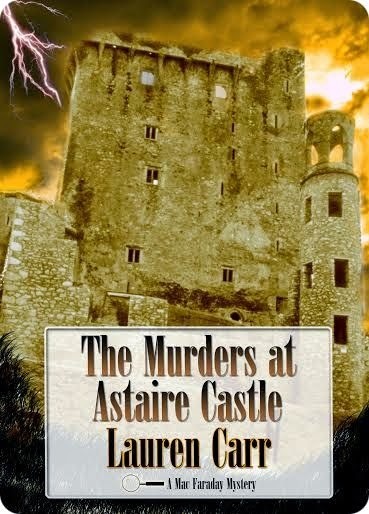 THE MURDERS AT ASTAIRE CASTLE! • Six winners will be chosen via Rafflecopter. • This giveaway begins October 6 and ends October 31. • Winners will be contacted via email on Monday, November 3. • Winners have 48 hours to reply.